Hope you are all well! Last week I shot a casual street style look with my baker boy hat and gorgeous pink Gazelle runners. This week is all about adding that bright pop of colour to your wardrobe for spring. The shops are full of bright, bold colours at the moment (once you can look past the black and grey rails haha). I've been trying more and more to step out go my comfort zone and I'm loving block colour, especially this over sized green knit from River Island. Bright green, orange and yellow as well as bold red and pink tones are popping up more and more in block colour tops, shirt dresses and even statement jackets. 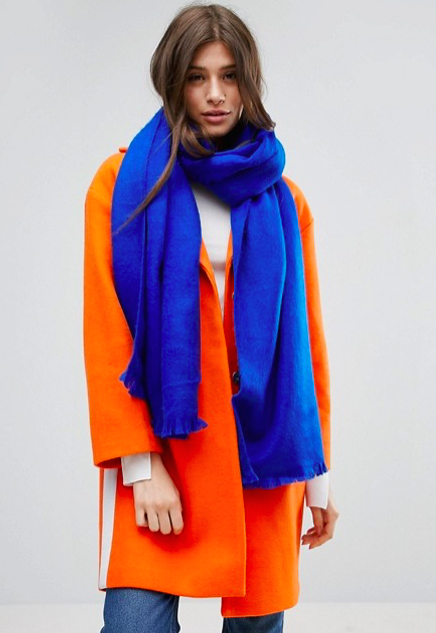 While we are all looking forward to spring it is not quite here yet so adding your pop of colour with something warm like a nice cosy knit jumper is right on trend at the moment. Have a look at some more gorgeous bright pieces that are in shops to get you in the mood for a colour injection! Gorgeous statement orange longline coat. Shop here. Great for a night out! Stunning pink faux pearl button playsuit. Shop here. This bold blue bodysuit could be a new staple in your wardrobe. Add jeans for a smart daytime look or a leather skirt for night. Shop here. This one is for the tall girls! A longline yellow blazer, this will turn a few heads. Also great to wear from day to night. Shop here. 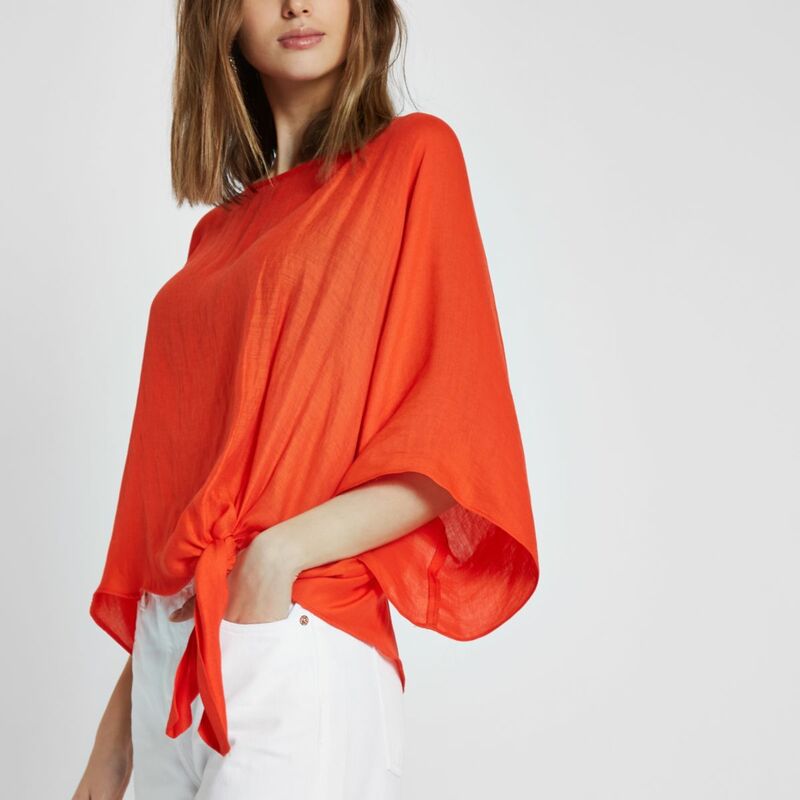 This simple top would be fab with white pants for a spring/summer occasion or any day when you are really feeling great, red is such a confident colour! Shop here. 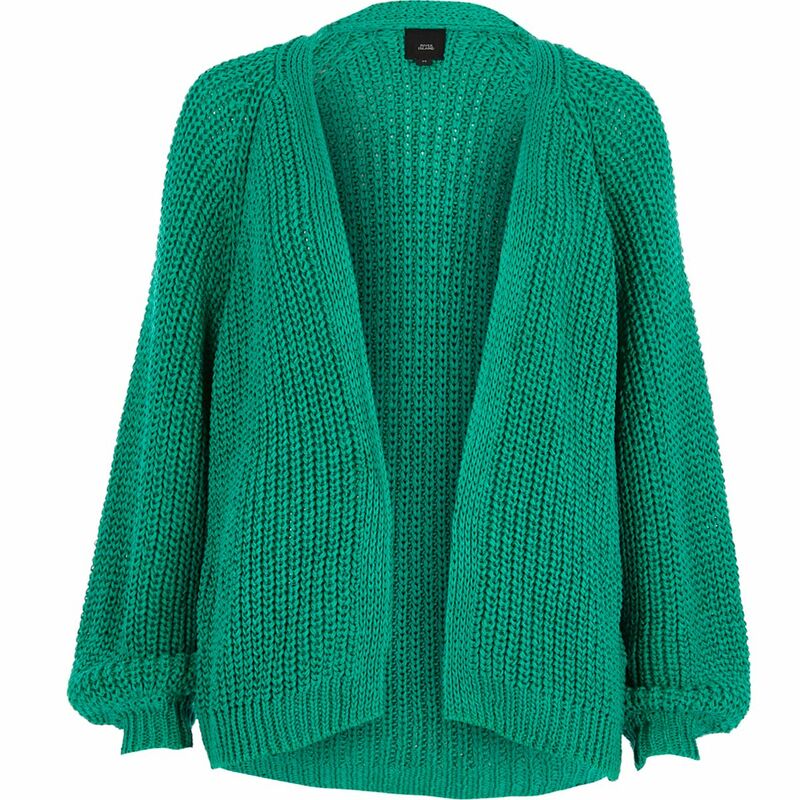 This shade of green is in lots of shops at the moment and it goes well with most Irish skin tones. A cardigan is such a simple way to add colour. You could easily wear all black under this and still look colourful. Shop here. This is such a simple top but with the right jeans and this shade of pink a girl could take over the world! Keeping it simple and comfortable is what fashion is all about. Perfect Saturday attire. Shop here. This green top is super flattering and has lots of detail making it quite dressy This could be great for a smart look maybe if you are trying to expand your workwear and you want to give your wardrobe a burst of energy and colour. Shop here. Leave the pop of colour to your accessories because there are so many gorgeous options to choose from. Check out the star gold chain detail! 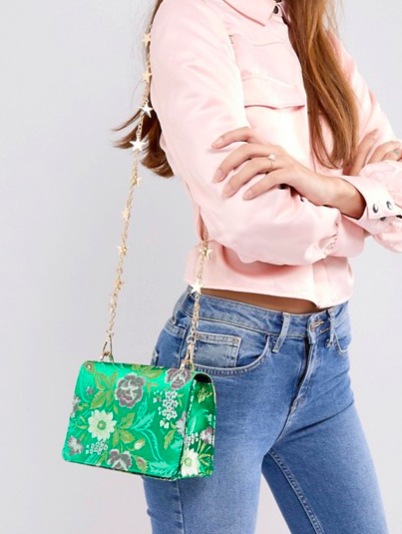 Shop this gorgeous bag here. 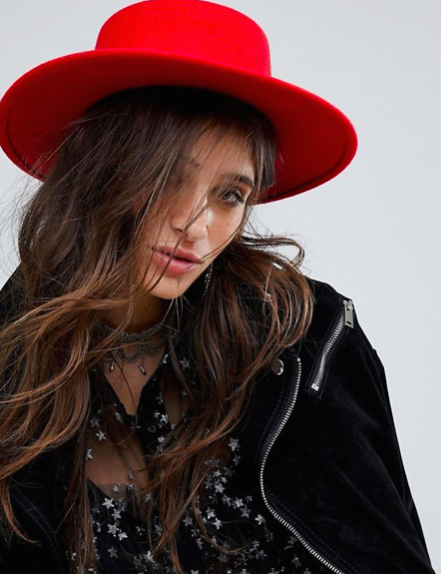 All the fashionistas out there throw on a bold red fedora and tell the world who is boss! Such a chic look. Shop here. 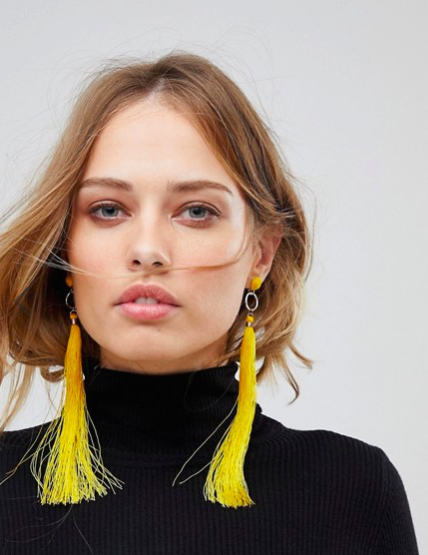 Tassel earrings are here to stay so stay on trend by playing with colours. This mustard shade would transform an all black outfit. Shop here. Are you brave enough to clash your colours? If you are still feeling a chill check out this beautiful bright blue scarf. Shop here. Hope you enjoy some online shopping and treat yourself to something fabulous!